So you want to be a model? This may be your chance to take pride of your unique look and personality. 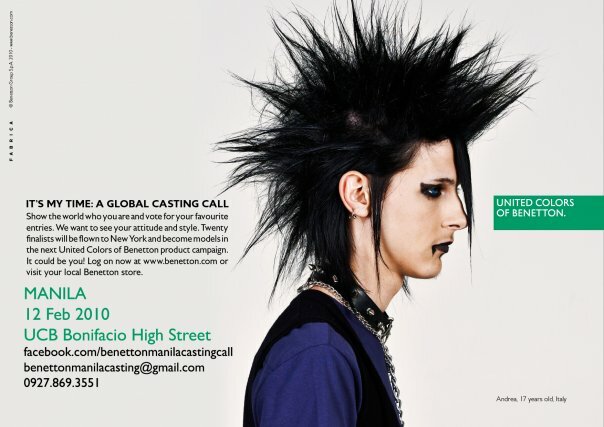 United Colors of Benetton is looking for extraordinary looking Manila-based 14-25-year-olds for its 2010/2011 campaign. The Manila audition is a pre-screening for Benetton's online casting competition where the public will vote for their favorites. 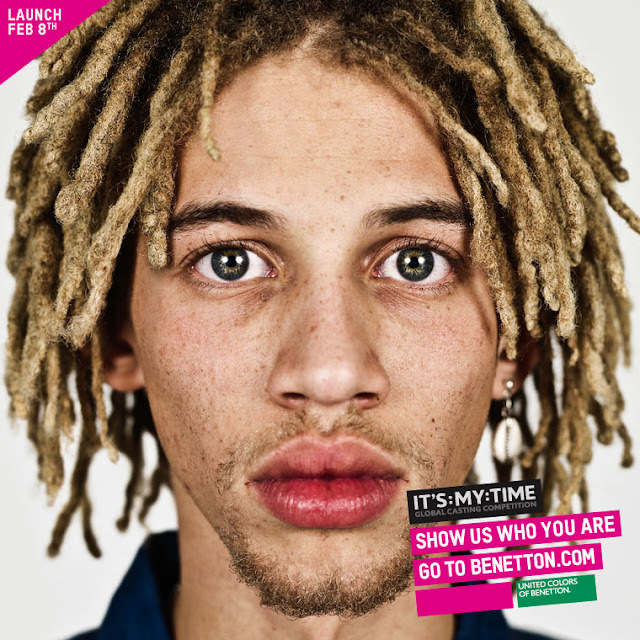 The 20 winners of the online competition, selected by a professional jury, will be sent to New York where they will take part in a professional photo shoot and become the new faces of United Colors of Benetton. Email your Name, Age and Contact details with a mid-shot photo as an attachment at benettonmanilacasting@gmail.com by Feb 10, 2010 so they can email you back schedule and model release forms. The Manila audition is scheduled for Feb 12, Friday, at the UCB Bonifacio High Street flagship store. Note: For applicants aged 14-18, they need to get their parents to sign the model release form. The auditions previously scheduled at UCB Bonifacio High Street on 12 Feb has been postponed. Final dates on the audition will be announced on the facebook page for the global casting. Applicants can also build lookbooks at the Global Casting Site: http://casting.benetton.com/ that will be launched on Monday, Feb 08, 2010.